Where did all these deer come from? I wondered as I suddenly stumbled into a throng comprised of four-legged deer no higher than my waist and giggling children holding baked rice crackers. Thus did I find myself in Nara, the cradle of deer. I mean, the cradle of modern day Japanese civilization. The first capital city in the land. 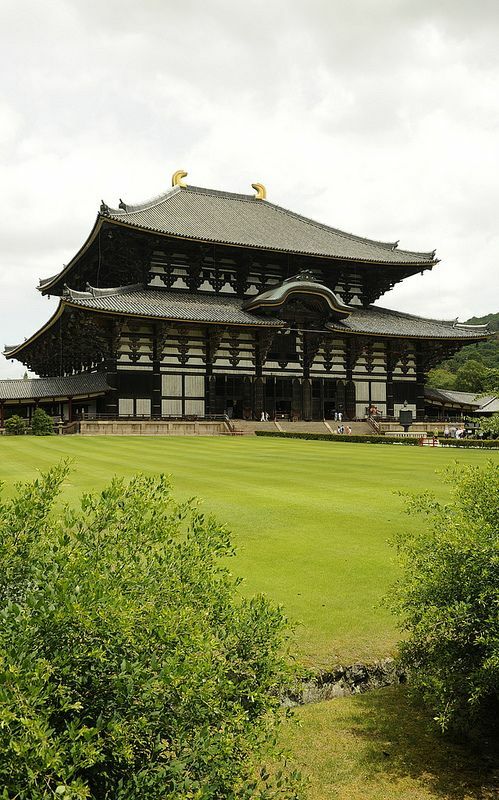 Nara has sights that are unbelievable to the eye and captivating to the heart. Ancient spirit is embodied in the countless temples, shrines, and natives. 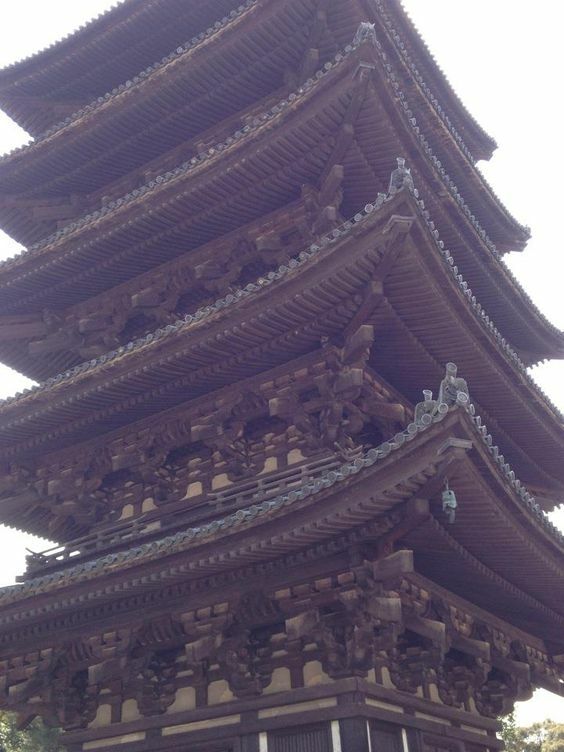 I arrived in Nara after passing through Nagoya in Aichi Prefecture with one thing in mind. A close friend of mine who hailed from the region had much to say about the shrines in the area, but he had also made one other mention. Deer were supposedly everywhere. I didn’t believe it until not even 3 minutes from the Kintetsu Subway Station I found myself flanked by these adorable animals. For someone who knows Tokyo as a concrete jungle, this sudden shift to green trees, dirt, and teeming wildlife was a fantastic reprieve. I am not the only one. The Japanese and tourists alike are welcomed to Nara to buy little packets of “shika senbei (deer crackers)” for 100 to 150 yen to feed the deer while you peruse the more historical facets of the city. 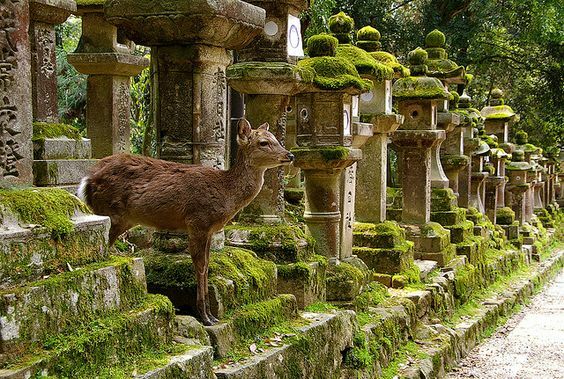 The sight of deer flocking to people’s sides as they purchased goodies from the carts rather than plucking the food straight from the vendors themselves made me think how Japanese politeness also shines through the native animals, not just the people. The transaction of people feeding these patient animals in return for pictures and pets was an interesting one. If for no other reason, visiting Nara for the deer is a must. Just do not go waving around your map, as even paper prey for them. Otherwise, you will end up as one of the countless visitors with holes in their pamphlets and newspapers. 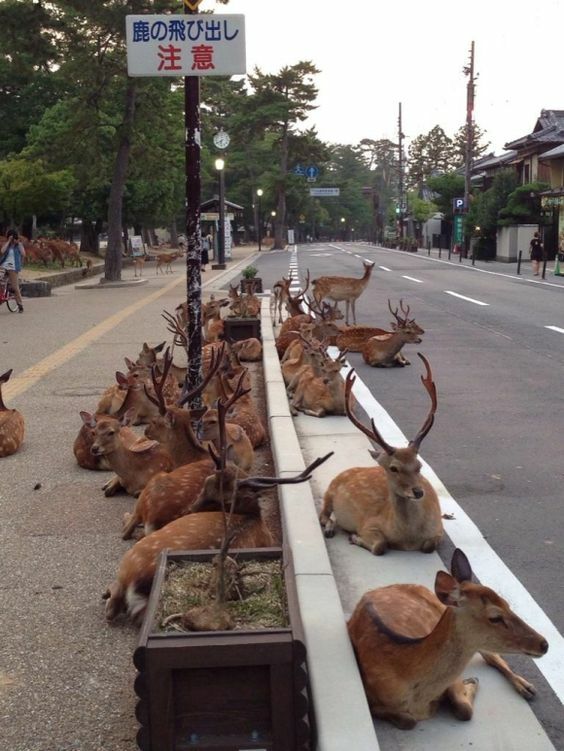 But the deer are not the sole fascinating aspect of Nara. 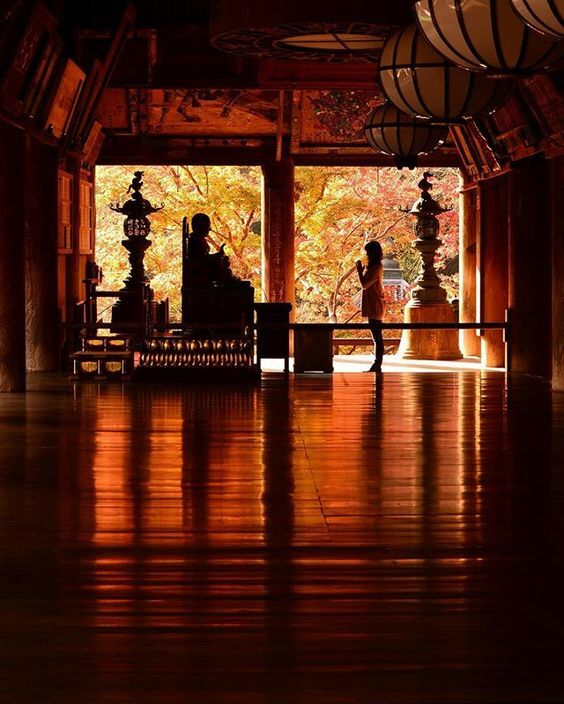 For those who are seeking a one-day shrine and temple pilgrimage or wish to gain a deeper understanding of Japanese spirituality and history, then Nara is the place. My favorites in the area include Koufuku-ji, Narahimuro Jinja, Nara Park, Todai-ji, and the shrines surrounding Kasuga-taisha. On the opposite end of Nara is also the beautiful Heijou Palace Remains, which I got to see when riding the Kintetsu rail line into the city. Not only do I recommend them for their beauty, I say go because of the accessibility. Everything is within walking distance. Navigation is also really simple, thanks to a plethora of multilingual street signs and detailed area maps. At Koufuku-ji, where the main building is currently undergoing a renovation is cannot be entered, you can see a majestic pagoda and hexagonal temple that date back to 710 AD, as well as enter a small museum of treasures and artifacts. Here you can also see the Golden Buddha and the Yakushi Nyorai. Todai-ji is preceded by a street lined with souvenir and traditional food shops. Be careful of where you step along here, as the deer tend to leave gifts behind. The first gate to the temple grounds is colossal – almost intimidatingly so. I recommend taking a quick perusal of the Todaiji Museum to see some artifacts that were dug up around the grounds of the temple. One of the best sights is a many armed Buddha covered in golden leaf. The details are awe-inspiring. Also be sure to take a snapshot of the giant Buddha hands outside of the museum too! I also fell in love with the small lake before the main temple building. There were humongous koi fish visible beneath the still surface of the water. While standing there, the world seemed to slow down, despite the crowds of tourists. I looked to the isolated shrine on a man-made island, partially veiled by gnarled pines, and felt a sense of calm. I found myself thinking about how many Heian-era nobles had stopped there and done the same thing. That was when a deer came up to try for a grab the bread I was snacking on. She won in the end. As for Kasuga-taisha Jinja, the home of three deities, I had high expectations for the fantastical quality of the shrine grounds. I was not disappointed by the natural beauty and tranquility. 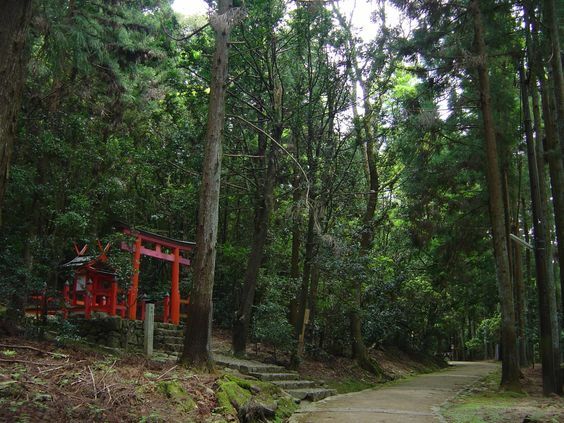 Every path is lined with stone lanterns and twining trees and vines. Deer stand poised between the interstices, carefully watching the passerby. Further up the hill are groves of bamboo. There was a faint mist when I arrived, lending a fairy tale charm to the shrine. I wandered around quite a while, mesmerized by the quiet. Despite it being winter and there hardly being any flowers to be found, I could image how breathtaking Kasuga-taisha Shrine is when the flowers are in bloom. For now, I was delighted by the thousands of hanging and stone lanterns. Unfortunately when I went, the museum and the botanical gardens were closed, but I will be back. Nara obviously has so much more hidden among the streets lined with 100-year-old ryokan and workshops. Wherever you wander, you are sure to find some beautiful sites and meet amazing people. Everyone is so friendly, and so are the deer, making Nara a wonderful location for the lone backpacker or a family eager to build memories.